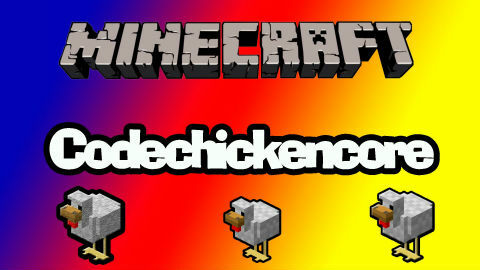 Despite the fancy name, the CodeChickenCore Mod Minecraft is not a mod on its own, instead it’s a nice set of tools that include an organizer as well as a custom loader for a variety of other mods that have been created by chicken_bones, a very popular Minecraft mod creator. The main idea behind the mod is simple, if you want to add up a mod created by this author into your Minecraft experience, then what you need to do is to make sure that you install this mod, and that it. What makes this mod unique is definitely the fact that it comes in handy for those that write scripts using Java and at the same time creates mods for Minecraft. It’s important to note that the CodeChickenCore Mod Minecraft needs the FML/Forge to be installed and run perfectly, but in the end that should not be a problem at all. So, what are you waiting for? Download this nice mod right away and take your Minecraft modding experience to a whole new level right away! I had some problems running minecraft with this mod on 1.6.4.the crash notes said the mod did not have a mcversion annotation.I also tryed taking it out of the folder and i said that it was missing and i had to put it back in.Oh im on mac too.